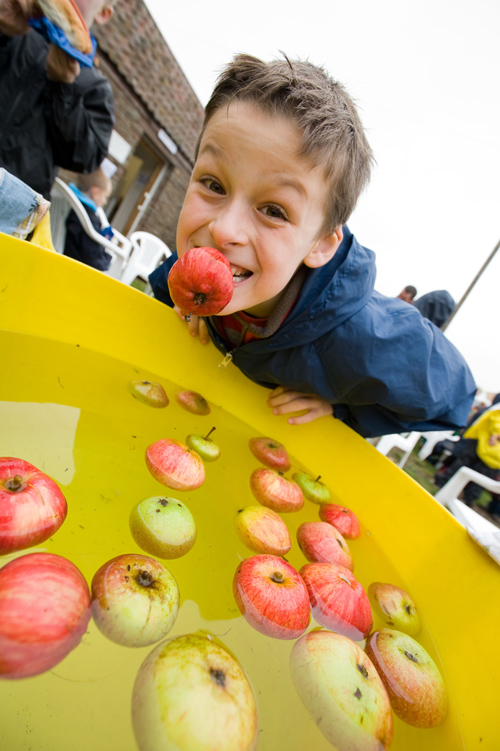 Mild autumn weather helped organisers at Winterbourne Medieval Barn attract 1400 visitors to their Orchard Harvest Day. Mild autumn weather helped organisers at Winterbourne Medieval Barn attract 1400 visitors to their Orchard Harvest Day. Cider-making, apple information, flax and linen demonstrations and a steam engine were amongst the attractions for visitors to the historic attraction. Trustees are now preparing for their Carols in the Barn event on 16 and 17 December at 3.30pm. Members of St Michael’s Church will present their own light-hearted take on the familiar Nativity story.